Teardown We knew that Microsoft's Surface Pro 2 tablets wouldn't stray too far from the original Surface Pro design - but according to the tool-and-part masters at iFixit, the new tablets are virtually identical to the old ones – meaning they're just as difficult to repair. iFixit's teardown of the new slate reveals that its guts are full of thick, tacky glue and more than 90 screws, just like its predecessor. And just like the first Surface Pro, it earns a Reparability Score of 1 out of 10 – which, as iFixit observed last time around, is the lowest score ever received by any fondleslab. In fact, a lot of the Surface Pro 2 internals looks familiar. 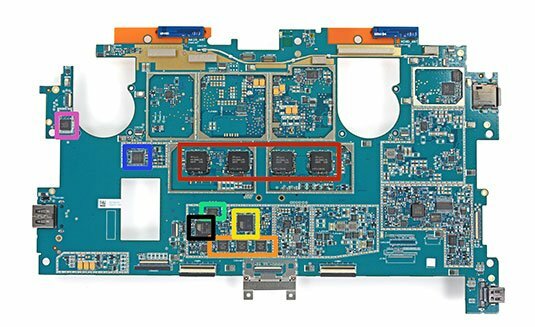 The new motherboard is virtually the same as the old one, except that it's now a shade of bluish-green and some of the components have been sourced from new suppliers. The biggest change, naturally, is that the new Surface Pro is powered by a fourth-generation Intel Core i5 processor based on the Haswell microarchitecture, instead of the original Surface Pro's Ivy Bridge chip. But it's a 1.7GHz dual-core processor, just like the old one, so you're not likely to see much performance improvement. Any gains in battery life are going to be mostly down to the Haswell design, because the Surface Pro 2 uses the exact same LG "Escalade" 42 watt-hour battery as the original Surface Pro, rated for 7.4 volts and 5676mAh. It's a nice battery, as iFixit noted in its teardown of the first Surface Pro. But it didn't exactly give that slab what you'd call a stellar battery life, and early reports suggest the Surface Pro 2 performs only marginally better. Microsoft is clearly still expecting a fair amount of heat from the new processor, too, because the Surface Pro 2 includes what iFixit describes as a "notebook-worthy" copper heat sink and the same twin miniature fans as the earlier-generation Surface Pro, although the fans are designed to run less frequently in this model to save power. 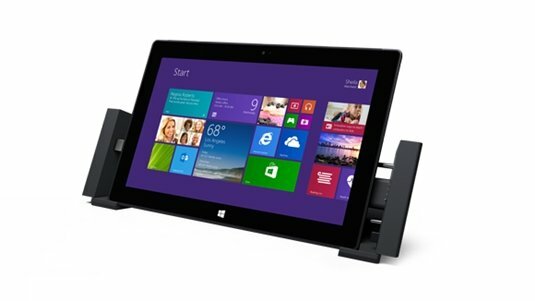 Other components are slightly different from those used in the original Surface Pro, but only slightly. 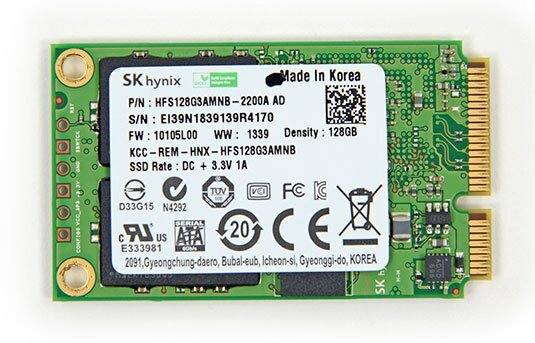 Microsoft has swapped out the Surface Pro's Micron SSD for a 128GB SK Hynix HFS128G3AMNB. Like the earlier drive, it's a 6Gbps SATA number, but while its rated read performance is similar to the Micron drive's at 505MB/sec, its write performance is much better at 470MB/sec, rather than the Micron drive's 95MB/sec. Redmond has also gone with SK Hynix as its RAM supplier this time around, where the first-generation Surface Pro used Micron for that, too. 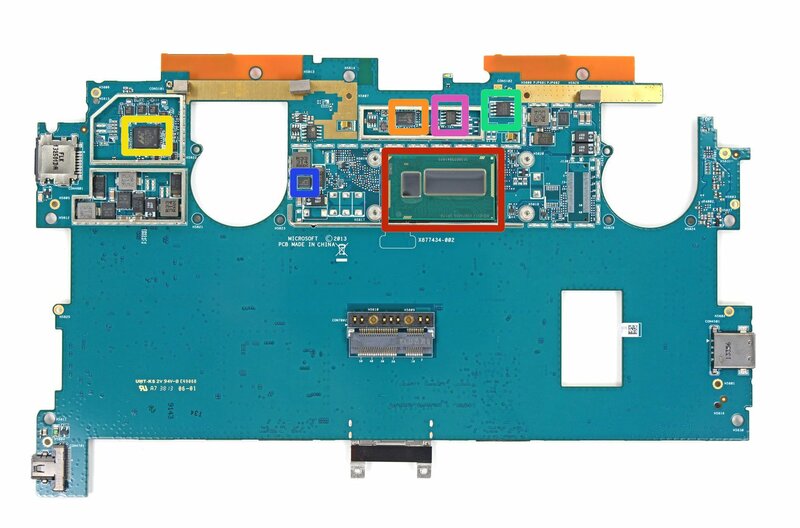 The Surface Pro 2 uses four H9CCNNN8JTML 1GB DDR2 chips to get its 4GB total memory, as opposed to the eight chips that went into the Surface Pro. Still, other pieces are unchanged. The Surface Pro 2 uses the same three Atmel MXT154E touchscreen controllers as the Surface Pro, for example, plus the same Realtek ALC3230 audio chip and the same Marvell Avastar 88W8797 integrated Wi-Fi/Bluetooth/FM radio controller. But the biggest similarity between the Surface Pro 2 and the original Surface Pro is a disappointing one, in that all of these components are still painfully difficult to get to. The display is, as iFixit put it, "trapped like a baby diplodocus in a treacherous tar pit of black adhesive," and the battery is also glued to the case, not to mention all of those pesky screws. This means that while it's technically possible to swap out the SSD and the battery, as was the case with the Surface Pro, you can't even get at these components without an arduous opening procedure that involves a heat gun and a very steady hand. "One slip-up," iFixit's repair gurus explain, "and you'll likely shear one of the four ribbon cables in the edge of the display." It was for this reason that the original Surface Pro received an even lower Reparability Score than the 2 that iFixit gave to Apple's fourth-generation iPad, and while we have yet to see how the new iPad Air fares on the same scale, the Surface Pro 2 scores just as low as its predecessor.